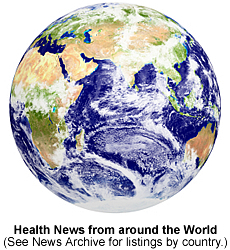 Public health experts have confirmed that a polio epidemic in ten countries in west and central Africa - Benin, Burkina Faso, Cameroon, Central African Republic, Chad, C�te d'Ivoire, Ghana, Guinea, Mali and Togo - has been successfully stopped. The epidemic has paralysed nearly 200 children for life since mid-2003, but no new cases have been reported in these countries since early June. At the same time, polio eradication efforts are intensifying in Nigeria, where extensive disease transmission continues, as part of a mass polio campaign across 28 African countries beginning today. Emergency efforts to stop the epidemic had been launched under the auspices of the African Union (AU), and largely underwritten through US$ 135 million in emergency funding from the European Commission (EC), Canada and Sweden. The ten countries, which had previously been polio-free, participated in a series of mass immunization drives across 23 countries, reaching as many as 100 million children with multiple doses of polio vaccine over the last ten months. Speaking on behalf of donors, European Commissioner for Development and Humanitarian Aid, Mr Louis Michel, said: "The reversal of these epidemics is precisely what EC development objectives are all about. Such a rapid return on development investment is good for Africa, good for donors, and most importantly, good for the children of Africa." Experts cautioned, however, that ongoing disease transmission in remaining endemic areas continues to pose a risk of more outbreaks across the region. To minimise this risk, 28 African countries* - including the ten countries which have stopped their epidemics - today launched the first element of a 'maintenance' programme to sustain this progress, with an additional series of synchronized immunization activities to reach more than 100 million children with polio vaccine in November and December. The 'maintenance' programme is part of a four-pronged strategy to protect the US$ 4 billion invested globally since the 1988 launch of the Global Polio Eradication Initiative. The other elements of the strategy include: strengthening routine immunization at country level in close collaboration with the Global Alliance for Vaccines and Immunization (GAVI) and through the new Global Immunization Vision and Strategy (GIVS); increasing surveillance sensitivity and outbreak response capacity, and increasing both the number and quality of polio campaigns in the remaining endemic areas, particularly in Nigeria. The Nigerian government has signalled strong commitments to further strengthening its polio eradication programme. With virus now beaten back to the north of the country, efforts are focusing on re-deploying support staff to the northern states during the upcoming immunization campaigns. To succeed, however, Nigeria needs the ongoing support of the international community to ensure every child is reached throughout the country with polio vaccine. Key to success is ensuring the necessary funds continue to be made available. A US$ 200 million funding gap for 2006 must urgently be filled, US$ 75 million of which is needed by December, to ensure activities in the first quarter of next year can proceed. Underlining the urgency of closing the funding gap, late arrival of funds may compromise the quality of the immunization campaigns in some countries. To support Nigeria and west and central Africa in polio eradication efforts, Rotary International is also gearing up its support to the region.
" Rotary club members from across North America, Europe and Asia are joining fellow Rotarians in Africa to participate in the polio campaigns,"
commented Carl-Wilhelm Stenhammar, President of Rotary International.
" At Rotary, we are committed to doing everything we can to support Africa in their polio eradication efforts." Rotary International and its 1.2 million volunteers worldwide have been integral to the global eradicate of polio. Collectively, Rotarians have committed well over US$ 600 million to the effort, and contributed countless volunteer hours during immunization campaigns. *Benin, Burkina Faso, Cameroon, Cape Verde, Central African Republic, Chad, C�te d'Ivoire, the Democratic Republic of the Congo, Djibouti, Equatorial Guinea, Eritrea, Ethiopia, Gabon, Gambia, Ghana, Guinea, Guinea-Bissau, Kenya, Liberia, Mali, Mauritania, Niger, Nigeria, Senegal, Sierra Leone, Somalia, Sudan and Togo. The polio eradication coalition includes governments of countries affected by polio; private sector foundations (e.g. United Nations Foundation, Bill & Melinda Gates Foundation); development banks (e.g. the World Bank); donor governments (e.g. Australia, Austria, Belgium, Canada, Denmark, Finland, France, Germany, Ireland, Italy, Japan, Luxembourg, Malaysia, Monaco, the Netherlands, New Zealand, Norway, Oman, Portugal, Qatar, the Russian Federation, Spain, Sweden, United Arab Emirates, the United Kingdom and the United States of America); the European Commission; humanitarian and nongovernmental organizations (e.g. the International Red Cross and Red Crescent societies) and corporate partners (e.g. Sanofi Pasteur, De Beers, Wyeth). Volunteers in developing countries also play a key role; 20 million have participated in mass immunization campaigns. Since 1988, global eradication efforts have reduced the number of polio cases by more than 99%, from 350,000 annually to 1,469 cases in 2005 (as of 1 November). Six countries remain polio endemic (Nigeria, India, Pakistan, Afghanistan, Niger and Egypt), however poliovirus continues to spread to previously polio-free countries. In total, 11 previously polio-free countries have been re-infected in late 2004 and 2005 (Somalia, Indonesia, Yemen, Angola, Ethiopia, Chad, Sudan, Mali, Eritrea, Cameroon and Nepal). 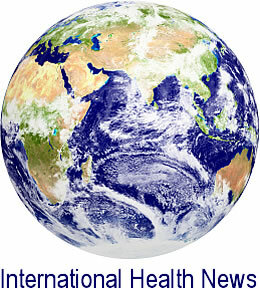 News is included on this website to inform visitors about current health issues, but not to endorse any particular view or activity. Material in this news item was first released by the UNICEF on 11th November 2005. For further information, please visit their website using the link below. News is included on the IvyRose website to inform visitors about current health issues, but not to endorse any particular view or activity. Any views expressed in the article above are not necessarily those of IvyRose Ltd.. Material in this news item was released by the UNICEF on 11 November 2005 and may have been edited (e.g. in style, length, and/or for ease of understanding by our international readers) for inclusion here. For further information, please visit their website.